Stainless steel janitorial sink units with adjustable feet. Supplied complete with tap, waste kit, flexible hose fittings, grate and wall bracket. 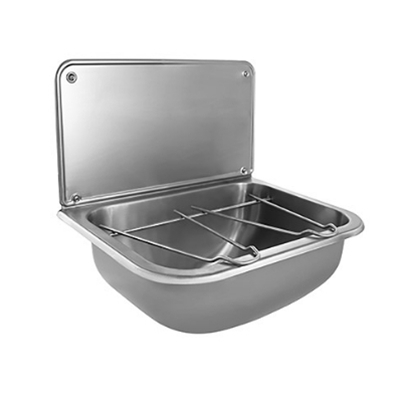 Stainless Steel bucket sinks either with adustable feet or purely wall mounted, splash back and grid included.